Currently showing the 50 most recent surveys. Use the search form below to search all surveys. 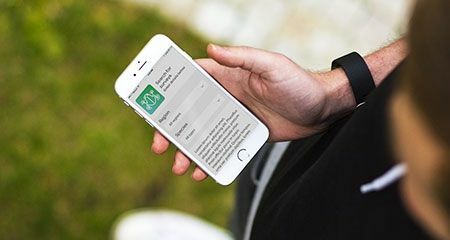 Use the free FrogSpotter app to record on-site survey data including your GPS location, audio, images, and habitat info. Login or register below to manage your surveys, create collaborative groups or become a frog survey identifier. FrogWatch SA is your chance to help us understand how our frogs are tracking in South Australia. It will help us better understand the health of our wetland environments. We need more people to contribute to frog surveys and, best of all, you don’t have to be an expert to take part. There are many parts of the state that haven’t been looked at in detail and there is always more to be learned. 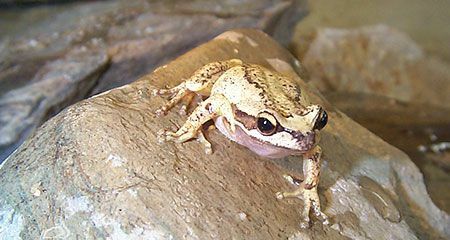 We are still finding and describing new types of frogs in South Australia and we know very little about the breeding habits of some of our frogs. FrogWatch SA is a partnership of knowledge sharing that anyone can join. It is a way to stay informed about catchment conditions and environmental issues. The information you provide will help guide important management decisions.